LA-based comedian and screenwriter trying to fart joke her way to the Emmy roundtable. After departing from the North Jersey, Italian-Catholic bubble in which she was raised, Gab endured two years of a respectable liberal arts education at The College of New Jersey before leaving it behind to study comedy and television writing — a decision that knocked precisely 7 collective years off her parents' lives. It was not in vain. Upon graduating in May 2016, she was honored with the Dr. Frederick P. Cornell Excellence in Writing Award, and became the first writer in UArts history to win the President's Award for the episodic teleplays that comprise her original scripted series, "Gab & Kev Make it Weird." She has since submitted her original work to every fellowship under the sun, earning her Finalist placement in the Sundance Institute's 2017 Episodic Story Lab, the Sundance Institute | YouTube New Voices Lab, and a semi-finalist placement in The Second City Original Sitcom Contest of 2017. 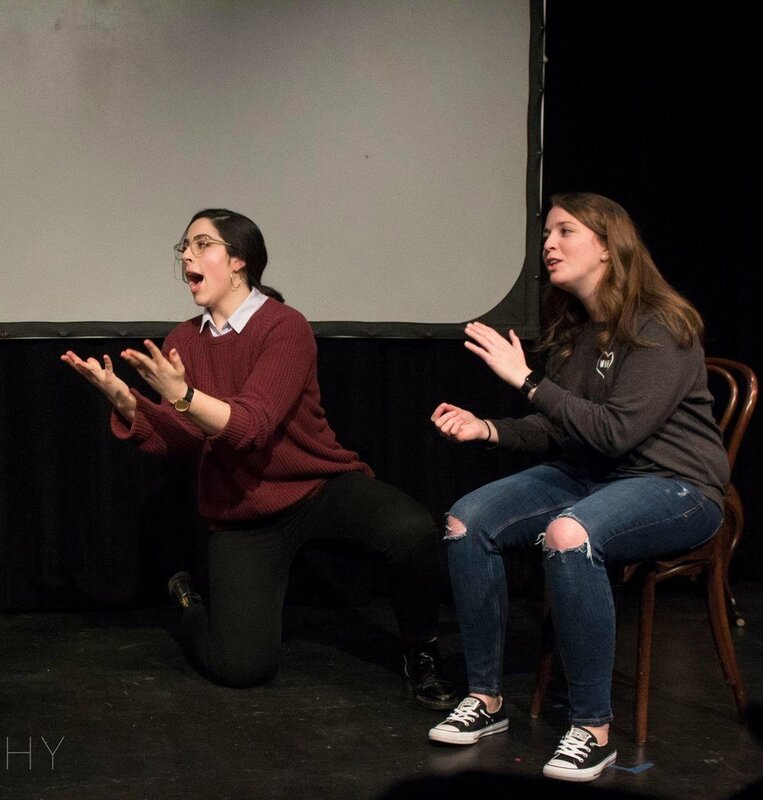 Gab got her comedy start in Philadelphia at the Philly Improv Theater (PHIT), where she performed with various improv ensembles like Fjord (Vancouver International Improv Festival, Del Close Marathon, Annoyance Theater NYC), Dutch, Page One (an improvised one-act play), Stay Dead (an improvised horror comedy), and Not Yet Rated (an improvised movie). She also hosted her own show at PHIT called "The Live Read," where she and a cast of comedians read an original teleplay or screenplay from local Philly writers in front of a live audience. Professionally, Gab Associate Produced and Co-Wrote a feature documentary called The Great Flip-Off which won “Best Documentary” at the 2018 Equus Film Festival. Gab also worked as a Production Assistant on many projects, including the 2017 Cosby Trials and the 2018 ABC/Freeform Upfronts. Still, Gab knew there was more out there for her in the world of episodic storytelling. So she gave a big, sloppy, Sunday gravy-stained kiss goodbye to the East Coast and moved to Los Angeles in January 2018. Gab has been missing her mother ever since, but pushes herself forward on the real heroine's journey of trying to pay off her student loans with comedy. Not a joke.